Ah summer and its long sunny days. What could be better than dining late during those warmer nights? Ending them with a delicious sweet treat, that's what! 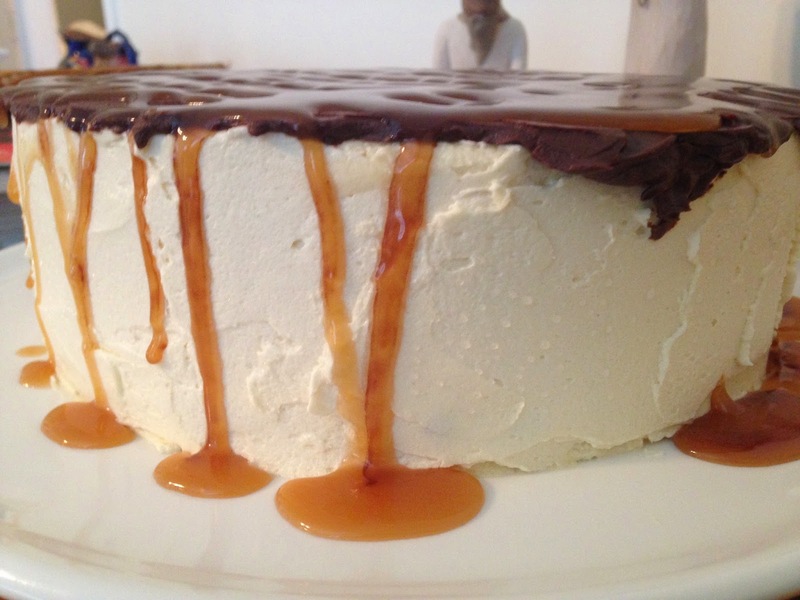 This month I've been trying out some gorgeous recipes that have been floating around the blogsphere; recipes where salted caramel, thick chocolate brownie and rich cheesecake layers interlace with flowing ganache or flavoured buttercream. The sort of desserts that fully deserve being described as 'decadent'. These recipes tend to involve a number of steps spread over several hours (or days!) but all the effort is... Totally. Worth. It. So for the next couple of posts I'm going to do some promos of other baker's great ideas by trial and taste test. Hopefully you'll find you're a fan of their work and support the many inspirational (and irrepressible!) bakers who spend so much time developing recipes for anyone to try for free! You might notice that I've called it something different in the title of my post. I'm a little bit of a grammar cop - the adjectives (eg. chocolate) in English need to come before the nouns (e.g. 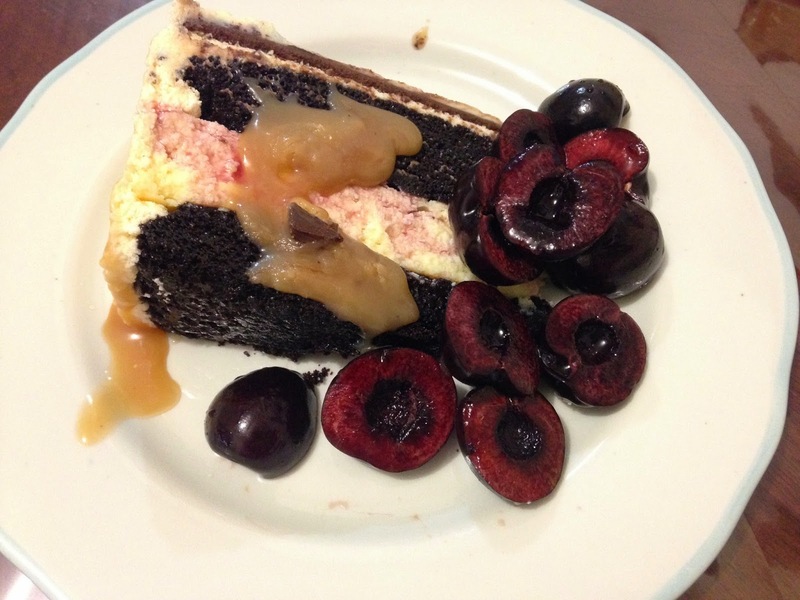 cake). It's not like I care or anything... but this dessert is difficult to grammarise(sp?! 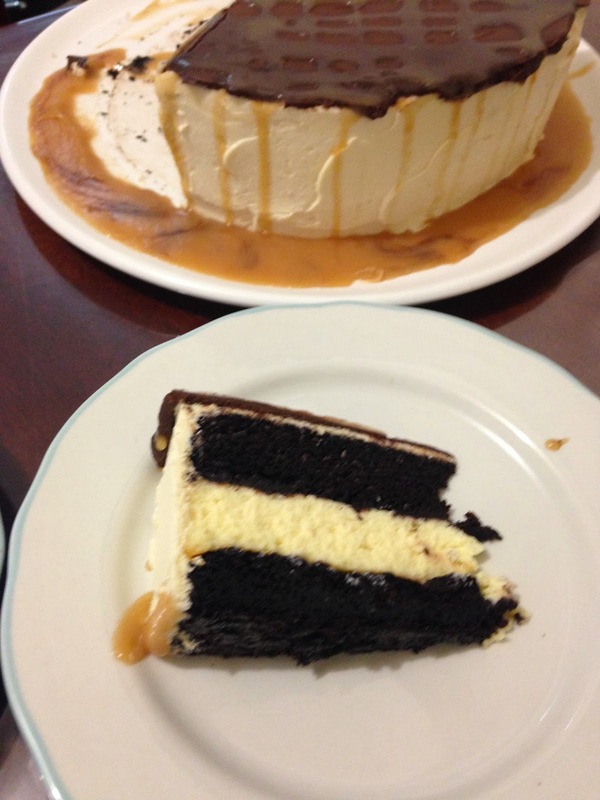 ), because there are really two cakes: chocolate cake and cheesecake. But the cheesecake is not chocolate flavoured, it's plain/vanilla-ish. Also, by starting the description with 'salted caramel' you could expect the cake to infused with that flavour, rather than topped with it. And you would also be disappointed (although not really, because there's still lots of lovely caramel in the icing!). I'm not writing this in criticism - I just feel like I need to clarify why I've called it by different name (a rose, anyone?!). Ok, ok, let's just have pictures instead of words. That's better - well, not the best images (can't wait to get a new camera soon so I don't have to use my phone one!!!) but I hope it makes the grammar-point. And there shall be no disappointment. 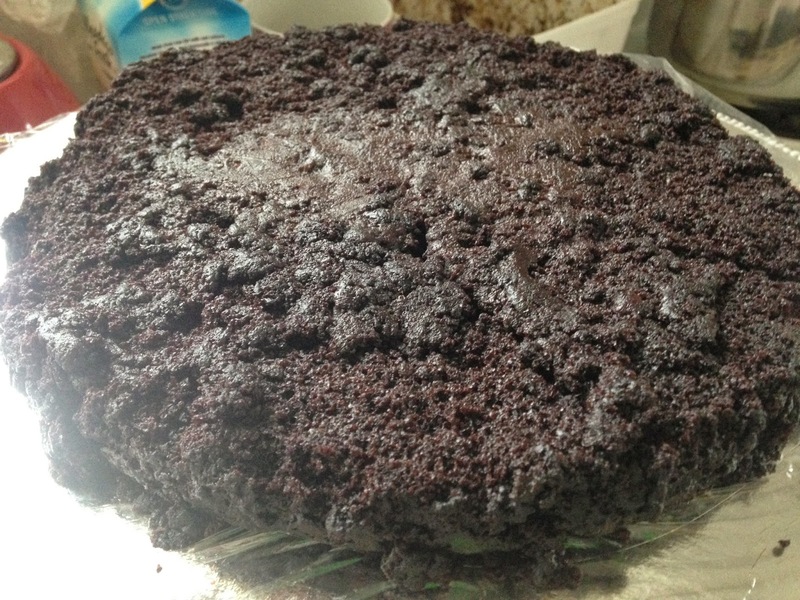 Cook the chocolate cake well. 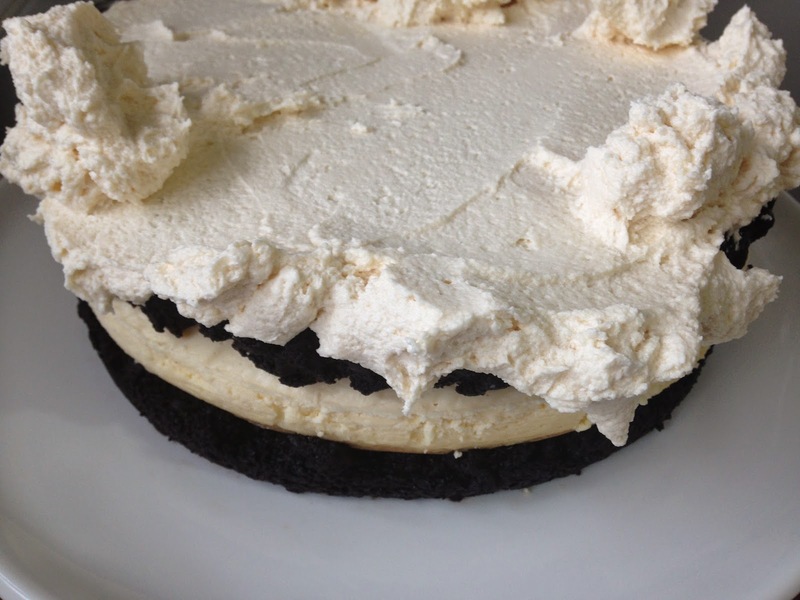 I used the Sweetapolita recipe but thought that it needed to be a little bit gooey to go with the cheesecake layer, so I shortened the cooking time. And... 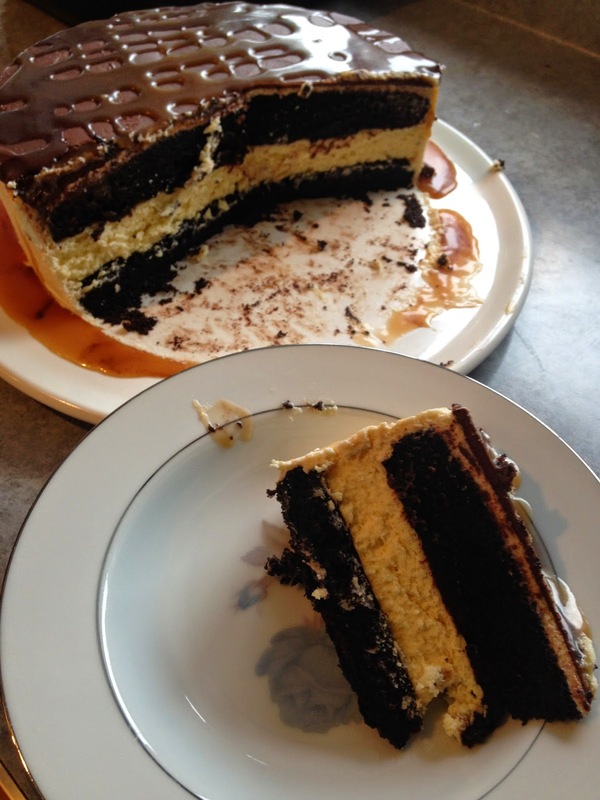 I was the one who was disappointed - it was so gooey that I couldn't cut through the middle to split it into layers without making a huge mess. Lesson learned. Well oil the tin and use baking paper on the base for the cheesecake layer. 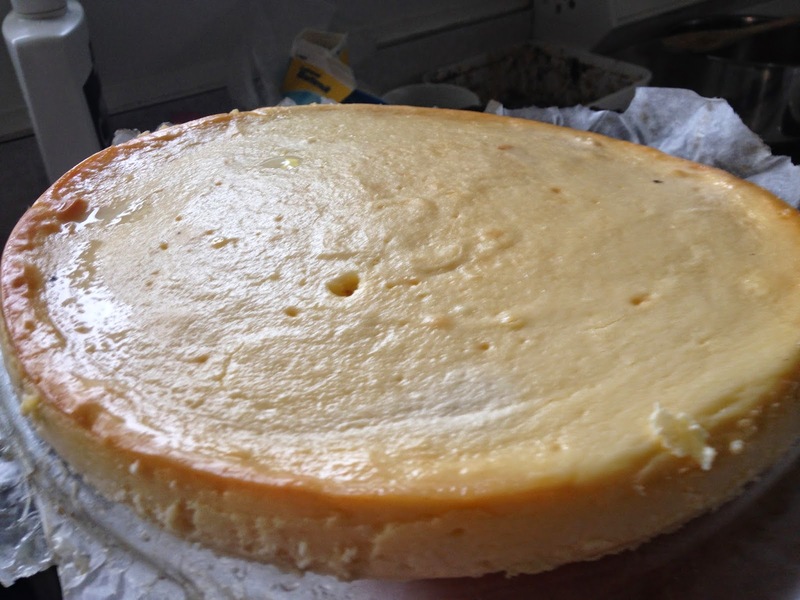 This is a base-less cheesecake (i.e. no biscuit crumb) - but it works really well! I was a little unsure if the cream and sour cream in the mixture would prevent it from solidifying in the oven, but nope, it set great! 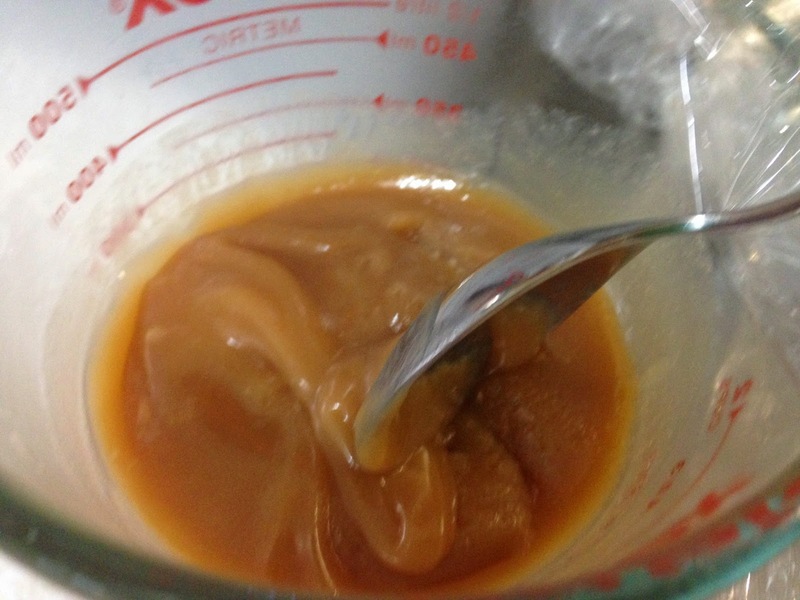 Add cooled caramel sauce to the buttercream. This may seem like common-sense... but yeah. 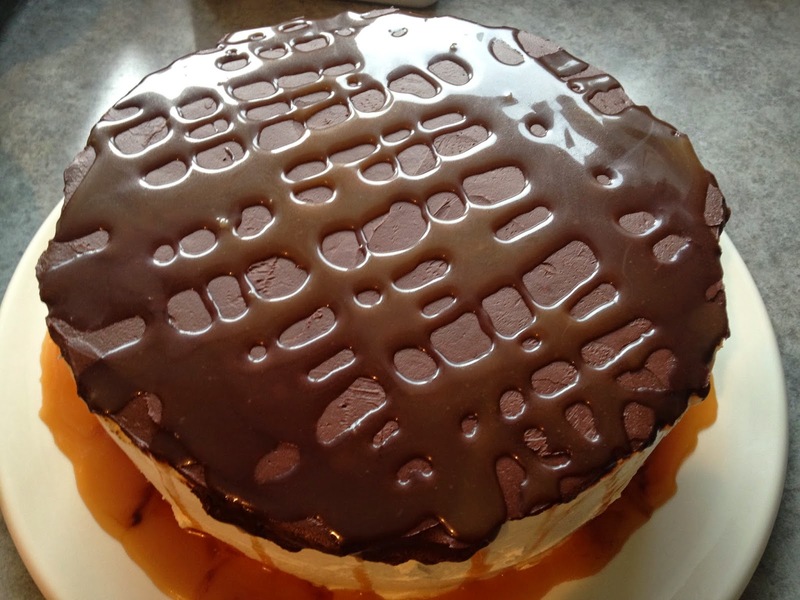 By this point in the recipe, you probably wish the whole thing would end so that you can just EAT the cake, hence you might opt for a pre-made caramel sauce. If you're still telling yourself 'no pain, no gain', the recipe includes a link to a sauce-making process that requires a candy thermometer. You may not have one of these or, like me, you might not trust your thermometer as far as you can throw it (perhaps I should get a new one, you say? Perhaps you are right... or perhaps I just want an excuse to throw something around in the kitchen!). In this case, you could use the easy and super-delicious recipe below that I've developed by checking out other recipes and trialling them. Use a water bath to melt chocolate for the ganache. Burnt chocolate is lame and next-to-useless (unless you really are trying to make sure your guests don't come back again). Because I am prone to burning chocolate just by looking at it, I've given a safer method below for making ganache by heating the cream only. Turn the heat up to medium-high and stir until the sugar water begins to boil. Now, put down your spoon somewhere that you won't be tempted to pick it up from for awhile. But don't go and sit down - you need to keep your eyes firmly trained on that sugar water! You're waiting for it to begin to change from clear into an amber colour. This takes approximately five minutes and during this time you MUST NOT STIR the water - it's the law. If the sugary build up around the edge of the water level starts to drive you crazy, I will permit you to take a pastry brush and gently sweep those bits into the bubbling liquid. But no more than that. When the sugar water starts to look golden-coloured, take the pan from the element quick-smart. You may be tempted to wait to see if all the liquid will turn amber, not just one part/half/quarter/smidgeon. 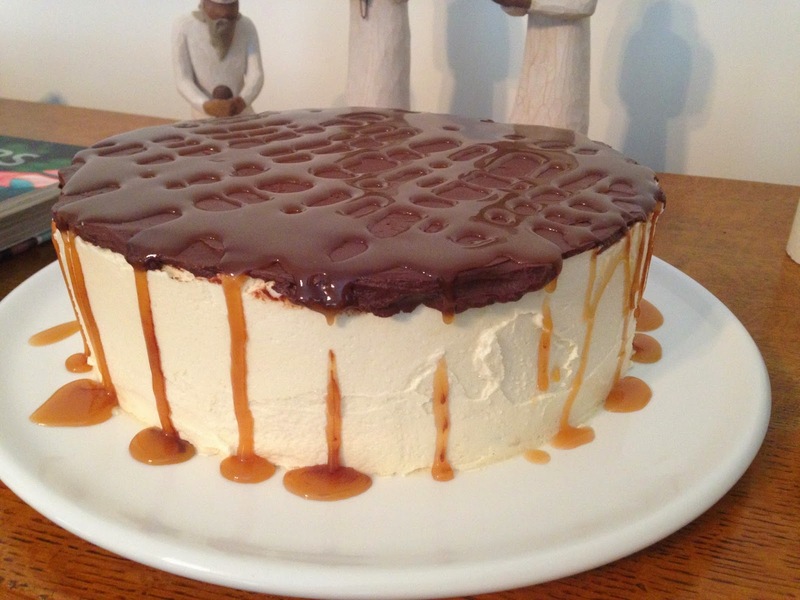 Resist temptation - it's not worth the pain of burnt caramel. At this point, some people would put the pan back on the heat and stir the mixture in an attempt to thicken it. I don't think this makes a difference - it will thicken just as well at room temperature. But if you've got time to kill, I won't stop you! You don't need to accompany this rich dessert with anything, but if the density and decadence are overwhelming, try some unsweetened yoghurt and fresh fruit!